This entry was posted in Biography, book review, Books, Death and tagged biography, bookreview, first lady, history, julie eisenhouser, pat nixon by alivingpencil. Bookmark the permalink. Resolve that final chord, ma’am! Yikes! I looked through the post, wondering what I did wrong (not wondering *that* I did wrong). But I’m guessing you are referring to the last paragraph? Never stop, she said with warmth. Oh…I thought there was some other book you were going to mention, but the last sentence is about this book, eh? Got it! Someone reading the comments is going to wonder what they mean! That would be me. Reading the comments six weeks later. 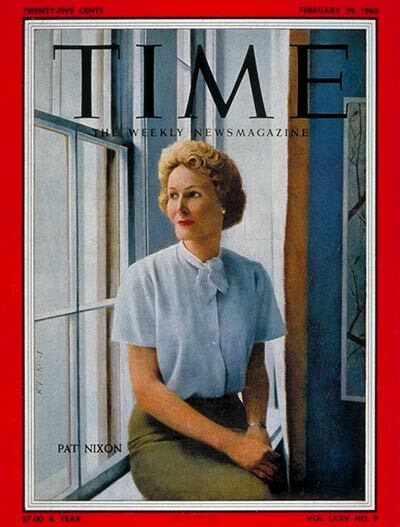 I always have admired Pat Nixon, grace under pressure. Now I want to read the book. Your review makes me want to read the book. My dad was a huge President Nixon fan, in a time when few were. (Even though RMN won in a landslide, did anyone truly “like” him?) I remember being so thankful that his funeral was so well done and that he seemed to have redeemed himself in his life post-presidency. I don’t remember too much about Mrs. Nixon except how what a stylishly classy woman she seemed to be and how she raised two daughters who seemed much like herself. I’ll have to read the book to learn more!